Yaya Clothing is a stylish brand which creates designs in line with current trends. They encompass simple Danish style that works for everyday, in minimalist colours and clean styles. It has been a favourite in the boutique for over 5 years now, and we really love the way their pieces mix together every season, allowing as to transfer from one season to another effortlessly. Both feminine and edgy with a look of nonchalance, every item has a twist and offers the perfect foundation for your wardrobe. Yaya really does embody the Dutch way of living! In Spring Summer 2018 the sun, sea and the ever changing nature were a true inspiration for the latest collection. The warm shades of the sun, turning the sky from bright blue to a soft pink. The golden hues of the Sahara and endless beaches around the world. All the beauties that we all appreciate! 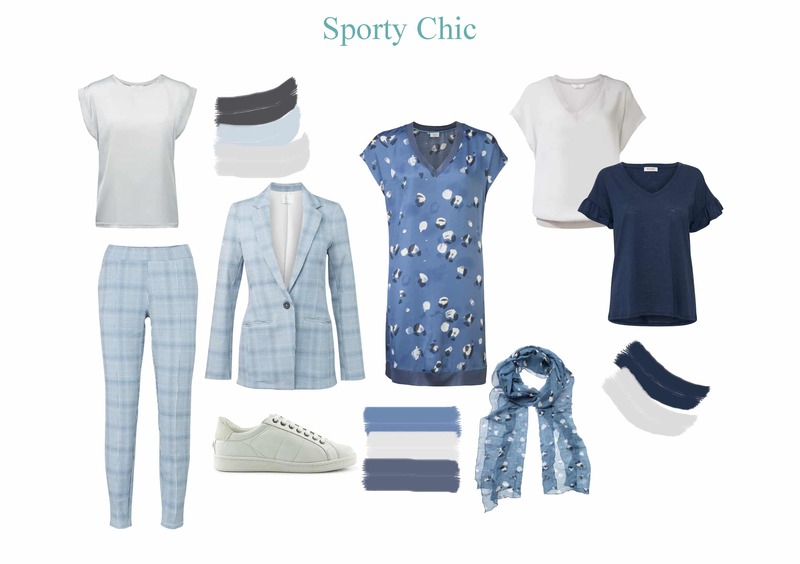 Sporty styles, such as sweat fabrics and scuba, have been mixed with feminine features, such as ruffles and delicate viscose. They have remarkable details, great animal prints and excellent use of texture. Keep scrolling for our favourite Yaya looks this season. Sporty chic is still in trend this year. What is so special about this trend anyway? The thing is, it coexists harmoniously with any other styles, making sophisticated and professional ladies look more relaxed and casual. Personally, we like this trend for comfortable garments and day to day living. Yaya have really used the influence of the blues and pinks from the sky in this look. 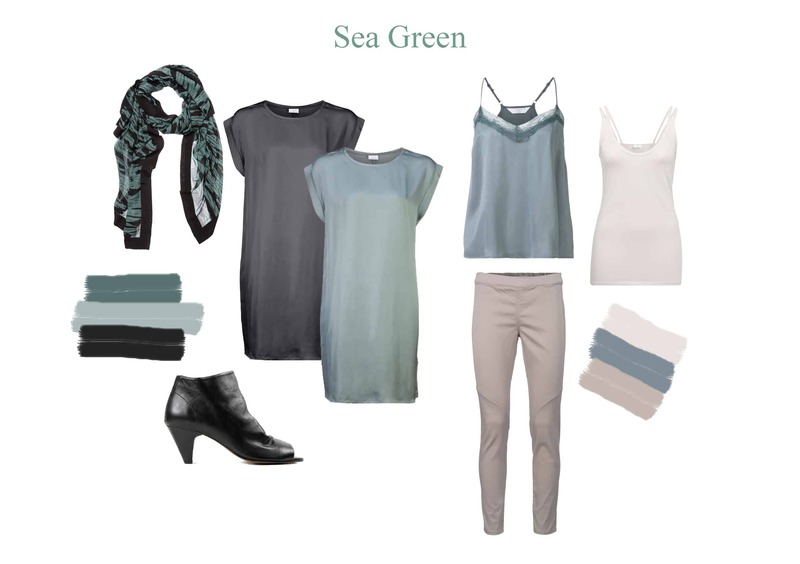 Dark green is giving bright shades a run for their money. The universally flattering hue is covering blazers, midi skirts, footwear and dresses, and is the ideal switch up for an all-black routine – team with black layers for an instant wear it now look. Yaya Lace back top in gold £62, Printed leopard aid leg pants £79, Tiger tee £30, Elastic strap singlet in white £29.99, Jersey leopard top £50, Leopard scarf necklace £15, Fabienne Chapot Le cave cross body bag £235. Leopard print is the new black, and everyone loves an element of it weather it is a true leopard print faux fur or an abstract design in alternative colours. This leopard print is warm in the mellow yellow and golden bronze adding warmth from the sun into the summer looks. Soft fabrics and lace is used to give a super feminine feel. All these looks are simple and easy to wear which is why we love Yaya. The handle on the fabrics is soft and oozes comfort and luxury. 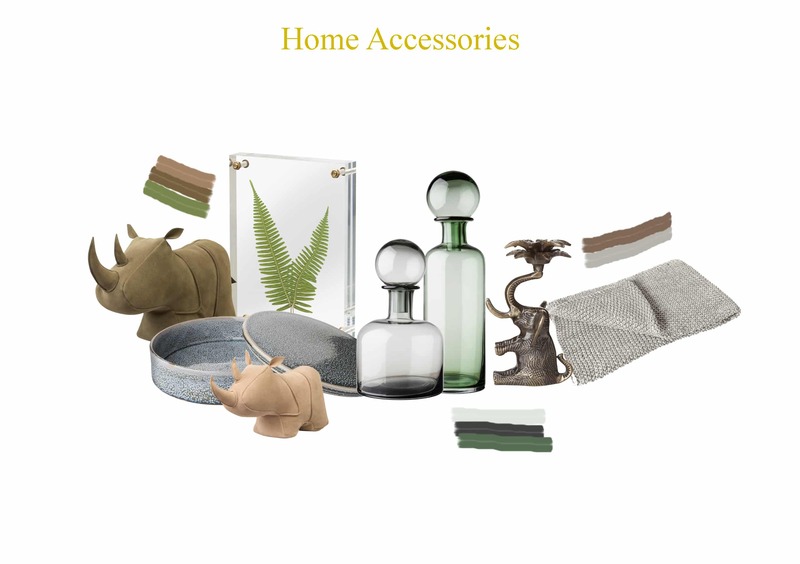 Not only have Yaya delivered an amazing collection just for you they have also been teasing us with a ‘Jungle’ of home accessories. Each piece has a natural feel due to the toned down colour scheme of army green, off white and beige with copper and brass accents. Wide glass bottle in grey £26, Tall glass bottle in green £26, Elephant candle holder in bronze £19.99, Chunky knitted throw £69.99. Be wild and add some jungle creatures to your house!